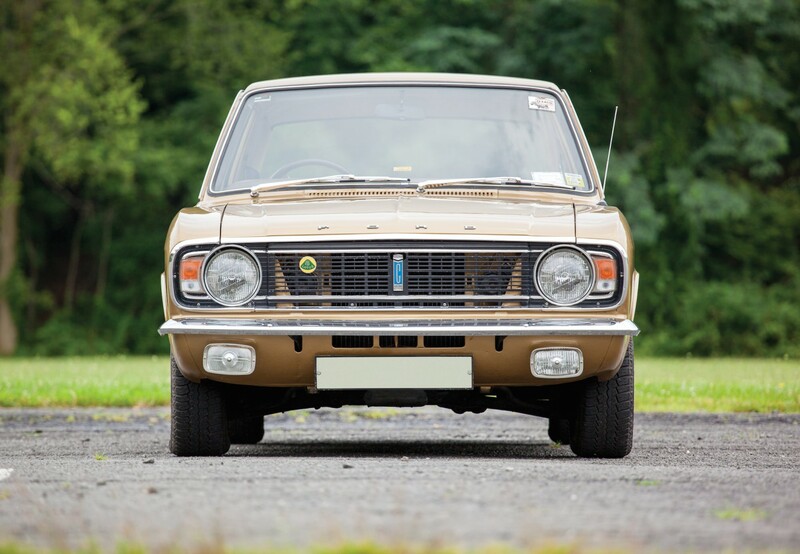 The Ford Cortina Lotus Mk 2 was the successor to the highly acclaimed Lotus Cortina Mk 1 – a small British car that had enjoyed significant successes on the race tracks of Europe, largely due to the special treatment showered on the cars by the engineers at Lotus. The new Mk 2 was fitted with a 109bhp 1588cc DOHC inline 4-cylinder engine with twin Weber side-draught carburettors, a 4-speed manual transmission, independent front suspension (with McPherson struts, coil springs and an anti-roll bar), a live rear axle suspension with semi-elliptic leaf springs, and front disc and rear drum brakes. Perhaps the most famous man to drive the Lotus Mk 2 was Jim Clark, a Formula 1 legend who loved the little Ford Cortina Lotus and raced them almost as a hobby when he wasn’t busy piloting his open-wheeled Lotus F1 car to the World Championship in ’63 and ’65. The beautifully re-commissioned Ford Cortina Lotus Mk 2 you’re looking at here was originally given to Colin Chapman by Ford, Chapman is said to have driven the car quite enthusiastically for about 14,000 miles before selling it on. It’s still in the possession of the second owner but that’s going to change on the 8th of September 2014 when it’s due to be auctioned in London by RM Auctions. It’s estimated to be worth approximately £40,000 to £60,000 which seems remarkably cheap for a car with a pedigree like this one.